Why do investors want to participate in Zero Cash Flow deals? Most zero cash flow Triple Net Lease (“NNN”) investments have two components. First, you purchase a high quality NNN investment with a long-term lease and a tenant with a high credit rating. Next, you obtain zero cash flow financing, where the rents from the tenant equals the debt service. This financing has an amortization period that is typically fixed to the term of the lease and a flat interest rate. 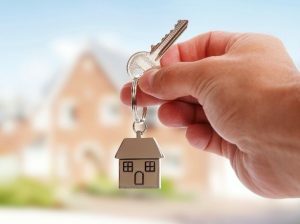 Commonly, an investor will put between 10 and 20 percent down, and when the lease’s initial term ends, he or she will have a debt-free building. 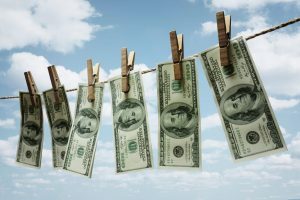 Zero cash flow loans are highly leveraged and lenders require a strong credit tenant, which is why drug stores such as Walgreens and CVS are highly sought-after investments for these arrangements. While the real estate investment is not providing current cash flow, the depreciation generated from these investments is structured to more than cover principal payments, leaving a net loss that can be used to offset other taxable income. Refer to my blogs on real estate professionals and passive loss limitations to determine if those losses can be used. During the term of the NNN investment, principal payments will gradually grow. Once they exceed depreciation, you may be subject to phantom income, which is taxable. 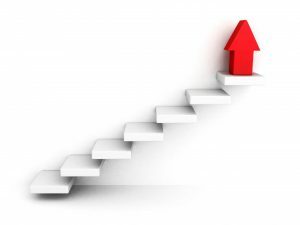 (See my previous blog on phantom income.) Prior to reaching this point, an investor should consider disposing of the asset (possibly through a like-kind exchange) or refinancing the property. If you have already reached the point in a zero cash flow deal where principal payments exceed depreciation, tax planning should be undertaken to minimize income taxes. If an investor retains ownership until the end of the lease, the loan will be satisfied and the building will be owned without any debts. If there are options in the lease, it’s possible that the tenant exercises the option and the property will generate cash flow with no debt service. On the other hand, if the tenant decides to move out, it’s reasonable to assume the building will still have value. While many investors acquire NNN properties for steady cash flow, that is not the only reason investors should consider a NNN deal. Astute investors use NNN investments as a way to minimize their tax exposure. Zero cash flow deals do not provide current cash flow, but can offer tax savings through depreciation deductions and appreciation of the real estate in the long-term. KRS CPAs can help you establish tax savings with NNN investments. Give us a call at 201-655-7411 or email [email protected]. Whether a person is considered a “U.S. person” or “non-U.S. person” will determine which income is subject to federal income tax. This also determines withholdings on that income, which may include earnings from real estate trade/business, passive rental income or sale of property. Non-U.S. persons are subject to income tax only on their U.S. source income (income earned within the United States). 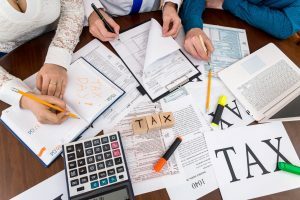 According to the Internal Revenue Service, most types of U.S. source income paid to a foreign person are subject to a withholding tax of 30 percent, although a reduced rate or exemption may apply if stipulated in the applicable tax treaty. What’s a U.S. or Non-U.S. Person? A U.S. person includes citizens and residents of the United States. For income tax purposes, U.S. residents include green card holders or other lawful permanent residents who are present in the United States. A person is also a U.S. resident if he has a “substantial presence” in the States. A non-U.S. /foreign person, or nonresident alien (NRA) includes (but is not limited to) a nonresident alien individual, foreign corporation, foreign partnership, foreign trust, a foreign estate, and any other person that is not a U.S. person. You can read more on these definitions here. If you are a non-U.S. person it is important to consult with tax and/or legal counsel to determine if you are subject to withholding. Below are several situations that could require U.S. withholding with respect to real estate. 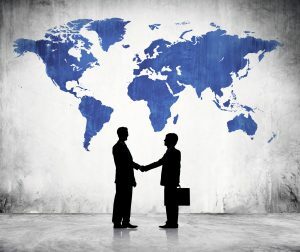 Trade or business – A non-U.S. person is considered to be engaged in a U.S. trade of business if they regularly undertake activities such as developing, operating and managing real estate. 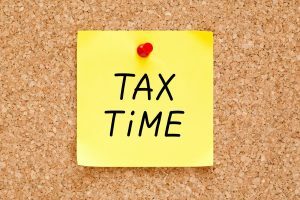 If this is the case, the income is not subject to withholding; rather, the non-U.S. person files an income tax return and computes their applicable tax. Passive rental income – Income from a rental property is typically considered passive income (refer to my previous blog on Passive Activity Losses for details). Rental income is subject to a 30 percent withholding tax unless it is reduced under an income tax treaty. The 30 percent withholding rate is applied to the gross rents and is reported on Form 1042-S, Foreign Person’s U.S. Source Income Subject to Withholding. Sale of property – The Foreign Investment in Real Property Act (FIRPTA) requires a FIRPTA withholding tax of 10 percent of the amount realized on the disposition of all U.S. real property interests by a foreign person. A purchaser of U.S. real property interest from a foreign investor is considered the transferee and also the withholding agent. The transferee must find out if the transferor is a foreign person. If the transferor is a foreign (non-U.S.) person and the transferee fails to withhold, the buyer may be held liable for the tax. 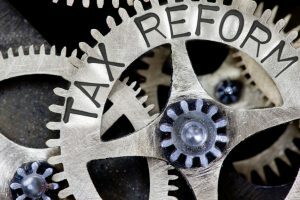 In addition to filing an annual partnership tax return (Form 1065), if a partnership has taxable income that is effectively connected with a U.S. trade or business, it is required to withhold on income that is allocated to its foreign partners. The withholding rate for effectively connected income that is allocable to foreign partners is 39.6 percent for non-corporate foreign partners and 35 percent for corporate foreign partners (2016 withholding rates). There are tax treaties with many countries that can reduce the withholding requirements and these should be reviewed. Note that withholding is calculated on taxable income, not distributions of cash. A partnership needs to be aware before distributing cash to foreign partners that there may be a withholding obligation. Are you a non-U.S. person with real estate interests in the United States? Or, are you a U.S. citizen or resident working or investing in real estate? I can answer your questions regarding tax issues around passive income losses and other real estate financial considerations; contact me at [email protected] or (201) 655-7411.